If your are using blogger blog and want to change some xml or css or html code in your blogger template then, it is advisable for you to have a full Backup of your blogger template. I know that this is very basic and common sense that before making any changes to the template the user should have backup of the full original template. I am insisting to have copy of your blogger template, because once if you have made any bad changes and you are not that much use to with XML, then after saving bad changes you lose your previous template code. 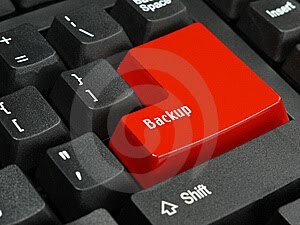 Steps to Take Full Backup of Blogger Template. #Step 1. Log in to your Blogger Dashboard and Navigate to Layout > Edit HTML and checked the Expand Widget Templates Check box. #Step 2. Click on Download Full Template link. #Step 3. Click OK button and save your template. - If you need to upload that template again, just click on Browse button and give the path to the template file and click Upload button and done!. Get free information related to "How to Take Full Backup of Your Blogger Template".